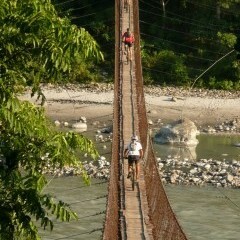 Single Track riding in the Kathmandu Valley (2-3 days suggested) – weeks of trails! Ask Unique Trails for options and prices on additional nights stay or extensions. The purpose of the Himalayan Development Foundation Australia is to raise funds to support projects that educate the children who live in remote locations of Nepal and provide for sustainable development to benefit the whole community, with an emphasis on education. Your participation will raise funds to support the work of the Foundation in these remote areas in the years to come. The ride itself will provide a personal, physical and mental challenge guaranteed to take you to some amazing places, incredible views and provide you with a memorable adventure. How technical are the off road sections? The riding is not technically hard or classed as “serious downhill” and is more “touring” level. However it will require good riding skills and some experience with dirt trails to navigate your way through the journey and avoid the odd cow, chicken, bridge or other random obstacle! It’s Nepal! But I want steep downhill single track! We expect to take a group size of 6 to 12 riders. In addition to the group will be your local leader(s), HDFA representative and local support crew. We recommend the ride as suitable for children over the age of 14 who have a high level of riding skill, are mentally strong and physically capable of exercising for long days of 6-8 hours. A parent or guardian must accompany them. The holiday costs are not tax deductible, however the donation to the HDFA is 100% deductible. It is government legislation. Organisational & Money Matters These are split into three parts 1. Donation to HDFA 2. 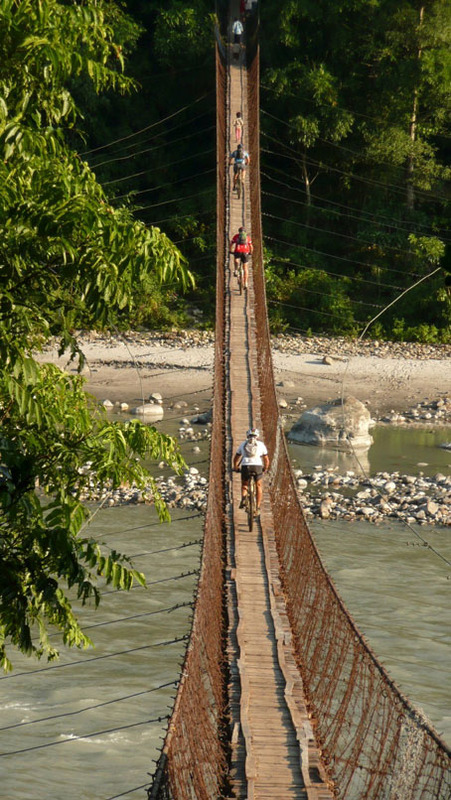 Nepal land content (Unique Trails) 3.	International air, travel insurance To make it clear, HDFA is not operating the trek, Unique Trails Nepal is. HDFA is not operating the aeroplane either… You can begin booking any of the three parts at any time, but all three will need to be completed before your journey commences, thanks. HDFA requires each member to raise or donate AUD$2,000 per adult, separate to the trip cost. This is a tax-deductible donation for which no reward is gained, as required by legislation. Payment of a donation is a pre-condition and may be made by you directly or others donating to HDFA on your behalf via the website payment and receipt system. HDFA will keep a running tally of donations which come in via the website below. We prefer you to use this facility as it allows automatic receipts and reconciliation for our accounts. href="http://www.hdfa.org"